If your car's rooftop is typically used for transporting skis, kayaks, bikes, or any other outdoor gear, then you will benefit from having this doorstep around. 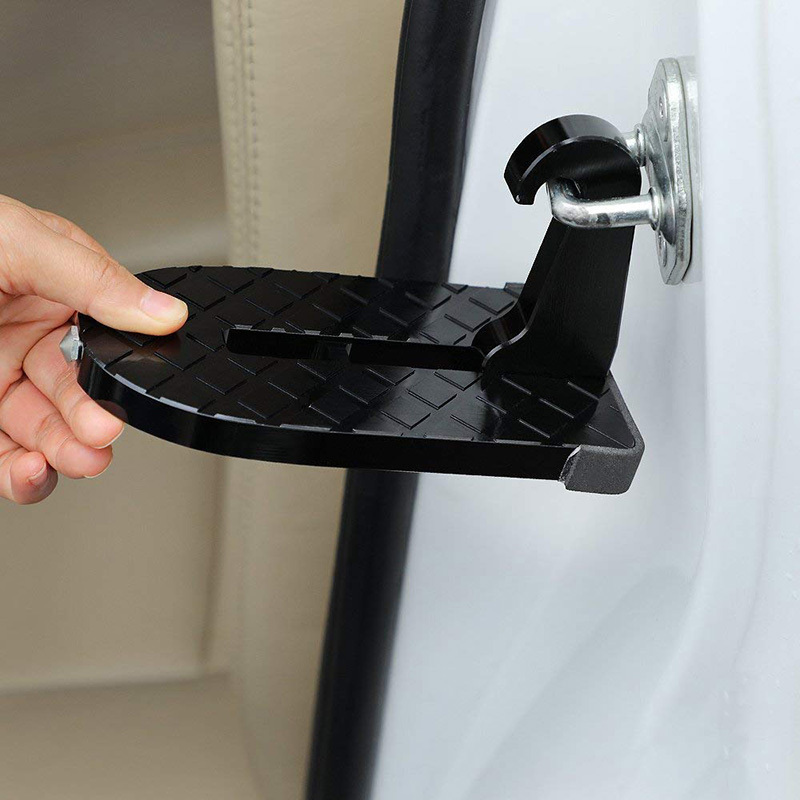 This Assistance Door Step gives you a swift and easy access to the roof of your car. Whenever you need to attach some gear to the rooftop you can use this doorstep instead of standing on your tiptoes or worse – your car seat. 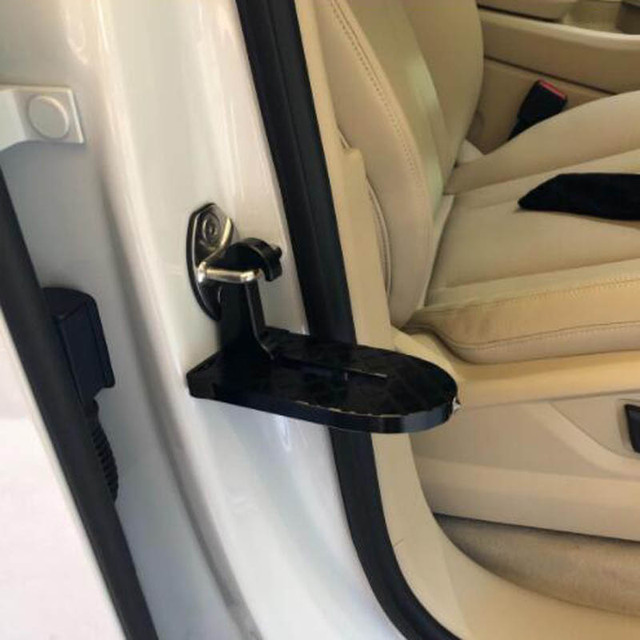 It is an attachable vehicle door latch step which instantly gives you the elevation to reach well over the rooftop for easier access to your racks. Machined grooves are there to provide a solid non-slip foothold so you can step up confidently. Patented design, foldable and easy to store, made from light-weighted durable Aluminum Alloy. Assist you easily in fixing or fetching Bike, Surf board, or other Bulky Travel Items on car roof top/ rack . Can hold up to 2500 lbs. and won't break while it is attached while using it.